The Steve Nash Foundation Showdown | Growing health in kids. NBA stars. Soccer’s best. An urban field. A sweet game of pick-up futbol in the middle of a city, benefiting children everywhere. Join us as Steve brings his passion to play in this innovative soccer match that any sports fan will love: featuring NBA stars and soccer pros from around the world raising funds for critical needs services for kids, Showdown is the beautiful game at its most creative. WE HAD SO MUCH FUN AT LAST YEAR’S SHOWDOWN!  Steve Nash, with new-comers Charlie Davies, Spencer Dinwiddie, Florencia Galarza, Graeme Le Saux, CJ McCollum, TJ McConnell, Weston McKennie and D’Angelo Russell blew the fans (and the rain) away as we teamed with B/R Football for a Showdown on a hot New York City summer night.